Public statements from Russian and Syrian officials, at least, indicated strong approval for Trump’s decision, while Iranian media portrayed it as the United States admitting defeat in Syria. “A milestone story which might evolve from this decision is a real prospect for a political solution,” Russian Foreign Ministry spokeswoman Maria Zakharova said on Wednesday. Zakharova suggested rebel forces relying on the U.S. military presence to blunt Syrian advances supported by Russia, such as those based near the city of at-Tanf, might now conclude their situation is hopeless and surrender or negotiate peace terms. “Hope emerges that this location on the Syrian map will follow the example of Aleppo and other Syrian towns and villages which begin getting back to a peaceful life. Once Americans were there, there was no such hope,” she said. 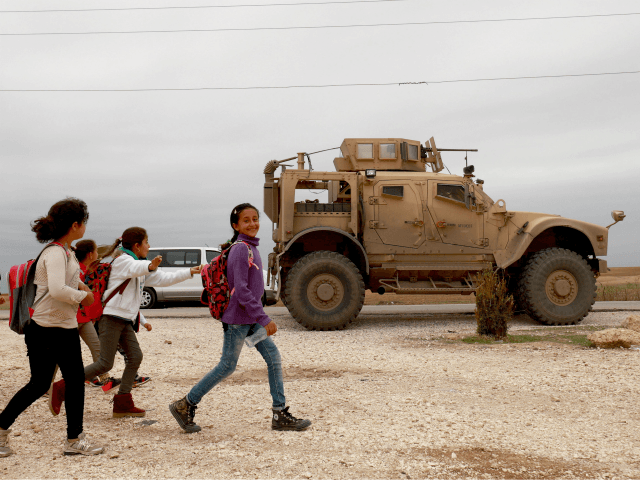 The U.S. garrison at at-Tanf has long infuriated Moscow and Damascus, which have accused the United States of using its base there to train Islamic State fighters and prepare them for battle with the Syrian army. They have also accused the United States of working with Syrian rebels at the base to prepare “false flag” chemical weapon attacks that could be blamed on the Syrian regime to justify military action against it. American forces intimidated the Russians and Syrians out of attacking at-Tanf in October by holding a live-fire exercise. Officials from the U.S.-led coalition in Syria said the primary purpose of the base was training local militia to defeat the Islamic State. “Donald’s right and I agree with him,” Russian President Vladimir Putin said of President Trump’s declaration that the Islamic State has been defeated. Putin called Trump’s decision to withdraw troops from Syria “the right decision” and reiterated Russia’s position that the U.S. presence in Syria has always been “illegal” because it was not approved by the Syrian government. Syrian’s state-run SANA news agency was on the same page as Putin. “The United States has been leading an illegal international coalition unauthorized by the UN Security Council under the pretext of fighting ISIS terrorist organization. The majority of the Coalition’s airstrikes have instead targeted civilian locals, causing scores of appalling massacres and large-scale destruction to infrastructure,” SANA editorialized. The hardline daily Javan, which is close to the influential Islamic Revolution Guards Corps, said the US now had no choice but to “respect” an agreement reached earlier this week by Russia, Turkey, and Iran on Syria’s political future. The latter comment was a reference to Russia, Turkey, and Iran’s trilateral commission on Syria, which rejected the United Nations plan to revise the membership of the 150-member committee tasked with writing a new Syrian constitution and laying the groundwork for U.N.-supervised elections.